The Fox River Navigation System Authority (Wisconsin) has announced that a swing bridge, previously not operational, has been repaired. The inability of the bridge to open has limited the height of watercraft that use the locks in the navigational channel. 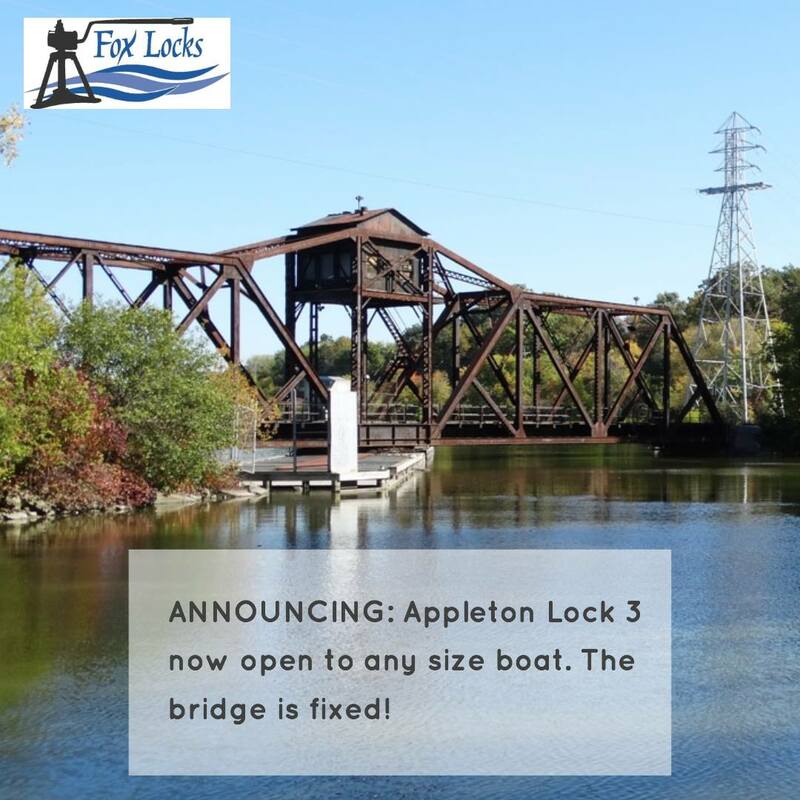 Now that the bridge is operational, the navigation channel is open to all Fox River watercraft that able to lock through Appleton. Photo by Fox River Navigation System Authority.